The Inland Northwest loves its carousels. The Inland Northwest has a thing for horses, especially carousel houses. In addition to Spokane's Looff Carrousel in Riverfront Park, which reopened this May, Coeur d'Alene's Carousel recently opened for the second year adjacent to City Park. And in Sandpoint, folks trying to get the Carousel of Smiles up and running (pardon the pun) continue to work on restoring the ponies and develop an as-yet-to-be-defined location in City Beach. For kids, a carousel is a gentle intro to amusement park culture, offering enough dizzying sensation — note the lack of words like "panic" or "terror" in the name — so kids feel like they experienced something unique. The critters and environs are fun to look at, too. 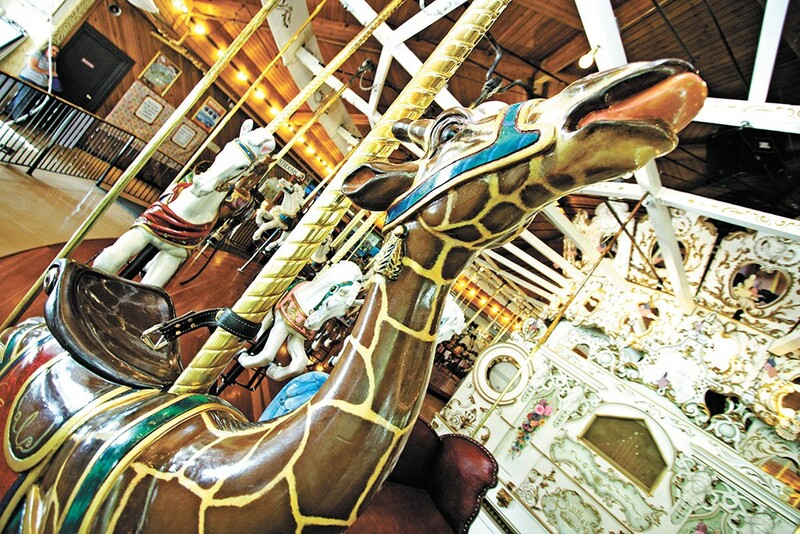 Spokane's Looff Carrousel features a tiger, giraffe and two Chinese dragons in addition to 54 horses, while Coeur d'Alene goes traditional with their carousel restored from the former Playland Pier. For parents, the Inland Northwest's carousels are permanent — you don't have to wait until the carnival arrives — and conveniently located and operated in areas parents might otherwise be visiting. You can't beat the price, either: Both Spokane and Coeur d'Alene charge a mere $2. And unlike other squeeze-your-knees-into-the-seat kiddie rides, carousels are designed for all ages, meaning adults can hop on board and ride around just like when they were kids. Flying is effective on bug, grass and fighting, yet weak to electric, rock and ice. Huh? That's Pokémon and despite the proliferation of electronic devices, the Japanese trading card game invented in 1995 is not only still popular, it can even help kids learn, says Craig Barnett, owner of the NorthTown Mall's Comic Book Shop. "It's kind of like poker mixed with monopoly," says Barnett, a father to a teenage son he swears improved his reading focus and comprehension by having to decipher the complex game. For $5, participants in the shop's Pokémon Trainer's Academy get half a deck of playing cards, a mat and the benefit of expert, peer-to-peer advice on how to play, score and win. Barnett offers the class for ages 8 and up — kids need to be able to read — the last Saturday of the month through September. Visit facebook.com/thecomicbookshopnorthtown. Just cuz it's summer doesn't mean the learning has to end, especially if it's so much fun the kids won't notice how hard they're working. Become a cyber-sleuth, fly a drone, build a Lego robot and other cool stuff at Spokane schools with one- to two-week STEM camps in July and August. Any Spokane-area kids, including homeschool and private school kids, are eligible, as well as pre-K and also incoming kindergarten to eighth grade students. Cost is $90/week (scholarships available). Visit spokaneschools.org/Page/30803. Held in Coeur d'Alene's City Park, the fourth annual GizMotion Celebration of Creativity is a free, family-friendly event on Saturday, July 7, for all things technical and cool: interactive displays and a Toy Story-like booth where you can be a (hopefully kinder) version of Sid. Build and enter your own human-powered vehicles and ride them into GizMotion's audacious parade. No time to build your own? No problem; ride (or bring) your bike to the event and "bling" it on-site. Visit gizmo-cda.org/gizmotion. Visit Mobius Children's Museum on Father's Day and save two bucks on admission. 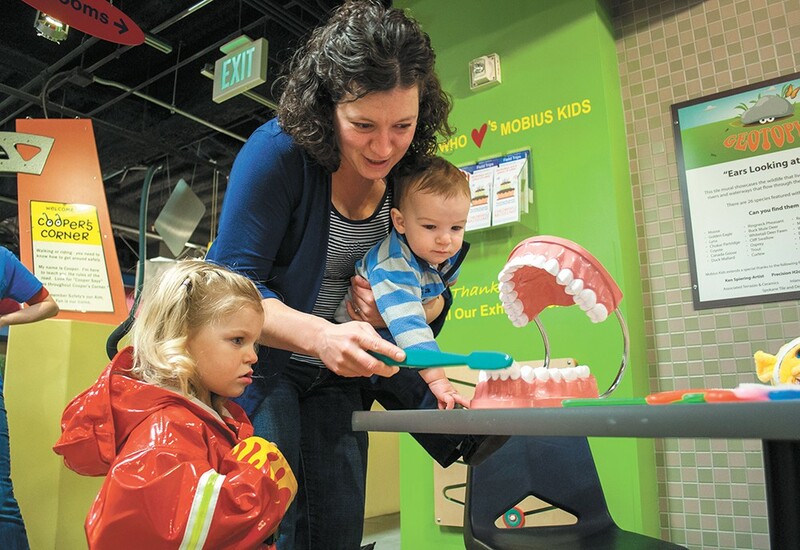 Located in River Park Square, Mobius Children's Museum is designed for kids up to 8 years old with all kinds of hands-on activities designed to get kids thinking and doing. This Father's Day, take $2 off admission and do something educational and fun together, like building your own marshmallow bridge with your favorite dad, uncle, grandfather or father figure in your life. Visit mobiusspokane.org/mobius-childrens-museum. Got a couple of older kids, too? Get more bounce for your buck with a "bounce pass": $12 for single-day admission to both the Science Center and Children's Museum. The fascination with slime might be lost on older generations, but kids love it: making it, playing with it and — thanks to Celebrations Bakery — eating it, too. For $30, kids 5 and up can learn to make edible slime with Celebrations' skilled pastry chefs on June 23 at either of the bakery's two locations in the Garland District or Spokane Valley. Visit bit.ly/2M6apYi (registration required). Ask any teacher: The end of the school year can be a blur — the crush of final exams, mental fatigue (for kids and staff alike) and the desire to keep kids focused but also have some fun. That's when chemistry teacher Jennifer Wenstrom busts out one of her favorite "tasty" science lessons: making ice cream. "They put all of the ingredients into a quart-sized Ziploc bag, then lowered that bag into a gallon sized-Ziploc bag that was filled with ice and salt. Then it all went into the coffee can," she says. Give it a goooooood shake and presto — instant educational moment you can eat with a spoon. For more ideas, check out: thesecretyumiverse.wonderhowto.com/how-to/food. Eric Herman Rocks! is playing numerous shows at area libraries June 18-22. Libraries are fast becoming all things to all people, with programming for a wide range of ages on a wide range of topics in an array of formats, including music. 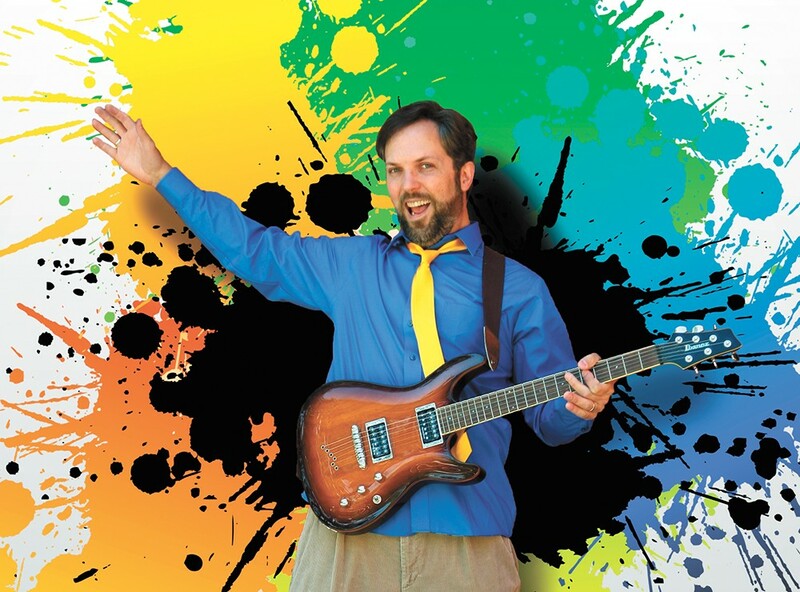 The Spokane County Library District's "Libraries Rock" summer series features fun for all ages with music by Lyle Morse, Musha Marimba and more, as well as concerts just for kids. Check out Eric Herman Rocks! with silly songs, comedy, audience participation and fun for the whole family, for free! Concerts are scheduled throughout the summer at the district's 10 branch locations, including Moran Prairie, Cheney and Argonne. Visit scld.org for more information. The original print version of this article was headlined "Kids | Summer Guide 2018"